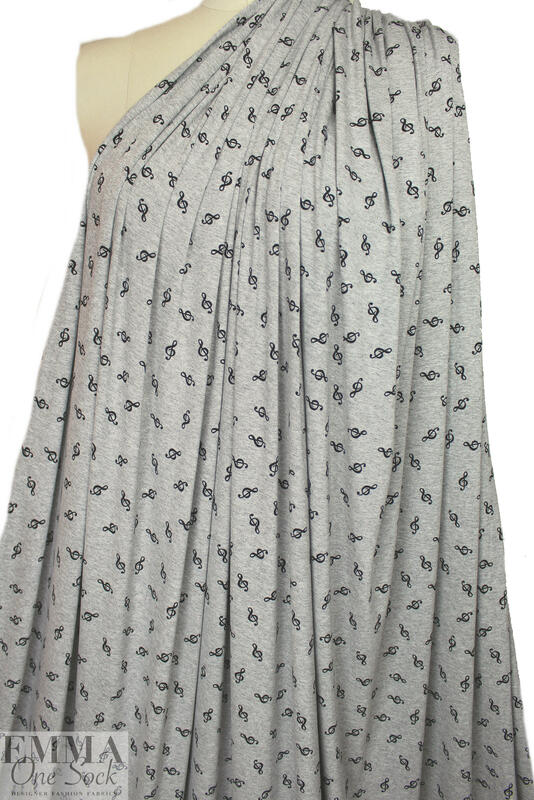 This rayon/spandex 4-way stretch jersey is a luxuriously soft, opaque, lightweight jersey, very drapey, with a matte finish and 60% stretch widthwise, 30% lengthwise. 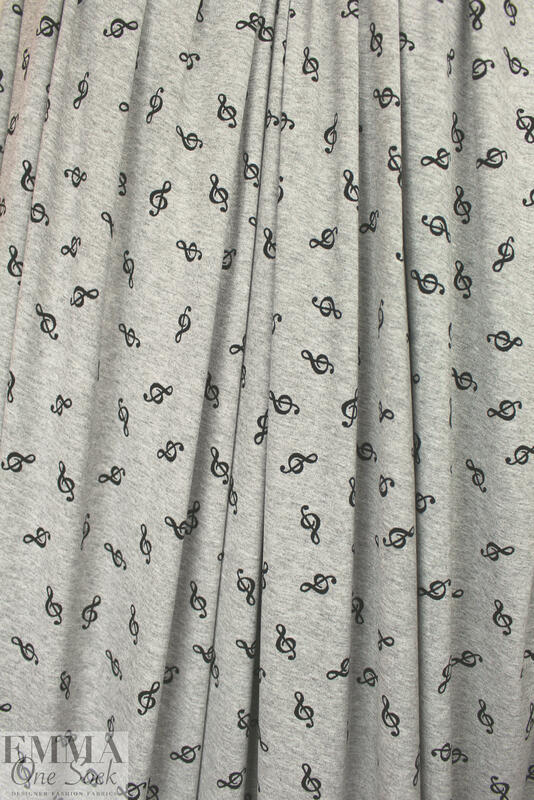 The treble clef print in black and light gray heather (PANTONE 14-4002) is perfect for tees, tunics, tops, twin sets, loungewear, activewear, yogawear, casual dresses and skirts, etc. 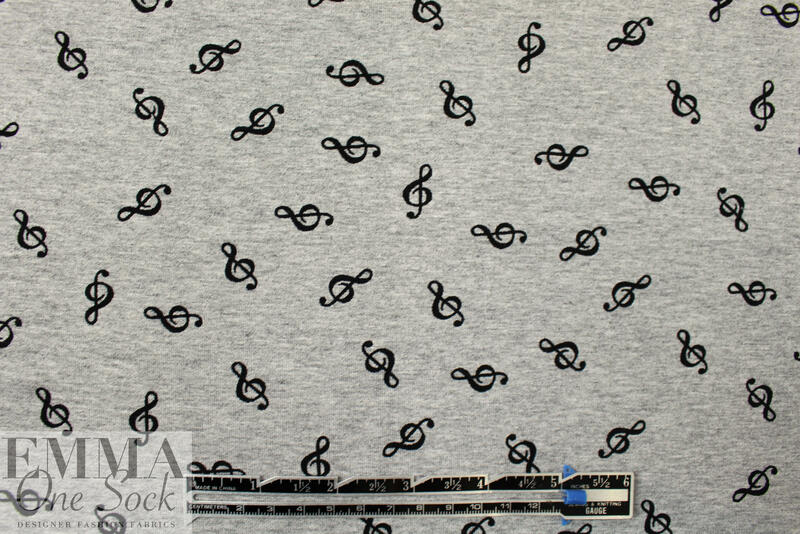 And it is great for pattern mixing as well, as it is small scale and will go will stripes, dots, florals, geometrics, etc. Hand or machine wash, hang to dry.